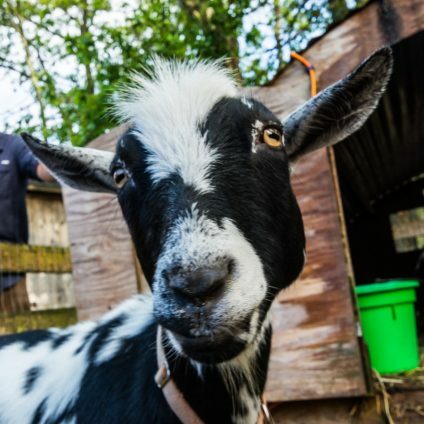 Learn to care for our farm animals, including sheep, goats, chickens, ducks, and more! Cultivate and harvest vegetables from our production field, and cook delicious meals using farm-fresh ingredients. 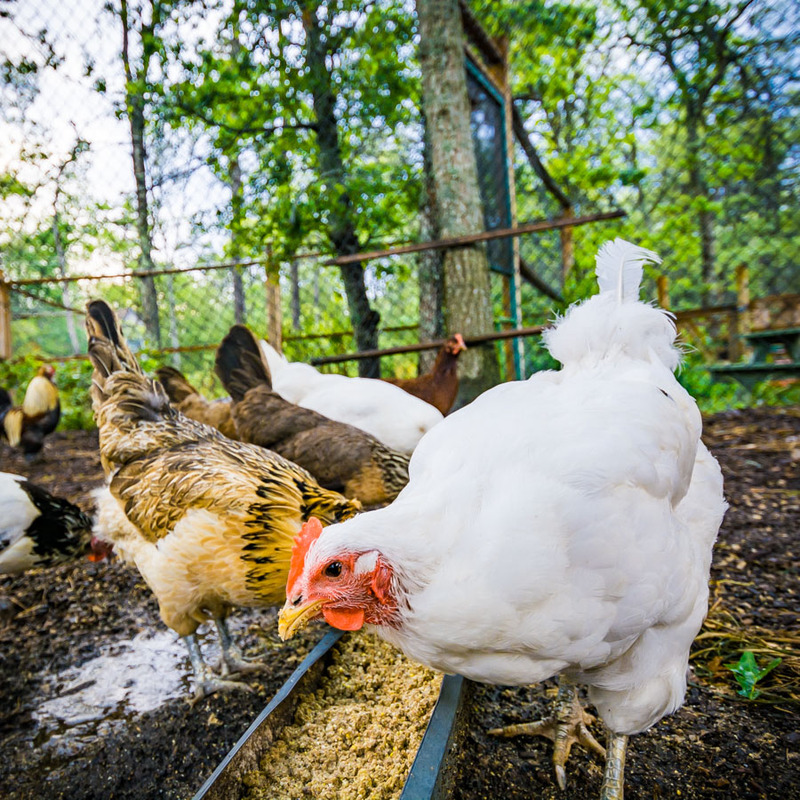 Learn the ways of sustainable farming and farm-to-table agriculture. There’s always time at camp to do traditional camp activities, including swimming, climbing the climbing tower, playing games, and doing arts & crafts. 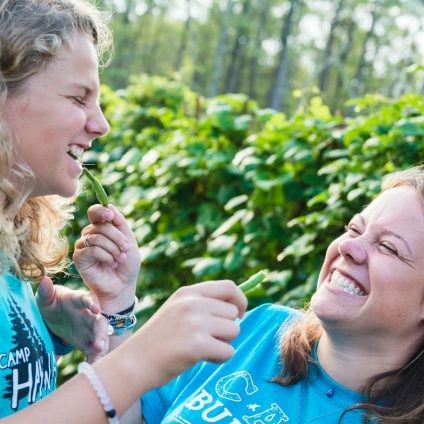 At Farm Camp, you’ll learn important skills, make lasting friendships, and have fun! Farm Camp is open to campers ages 12-16. Campers will sleep in yurts adjacent to the Burgess Farm, with bathrooms and showers nearby. 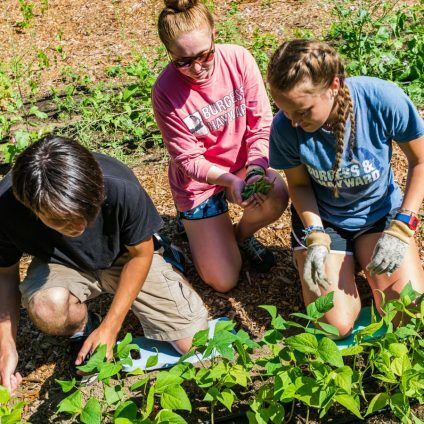 Learn more about Farm Camp in our Farm Camp Parent Guide. Experience the life of a farmer at Farm Camp! $825 – financial assistance available. Learn more about the Burgess Farm here!